One of the most popular new games available. 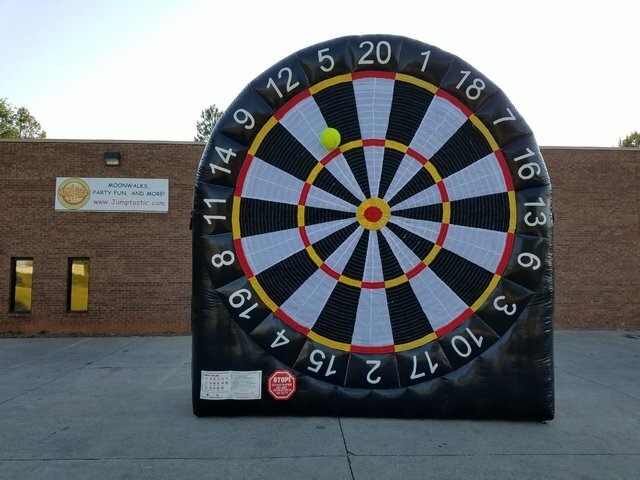 This large Inflatable Soccer Dart Game is wonderful for all ages. A perfect addition to any party, school carnival, fundraiser and more. Game can only be set up on grass surface that allows for proper staking of the unit. Game comes with three balls to kick at the velcro dart board. Play all the popular dart games - 301, 501, Cricket, etc.